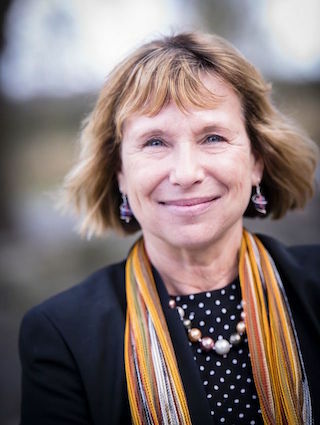 On September 25th, acclaimed Israeli historian Fania Oz-Salzberger will be confirmed as the next Director of Paideia - The European Institute for Jewish Studies in Sweden. I am awed to become the new Director of the Paideia Institute to follow - but never replace – Founding Director Barbara Spectre. Paideia stands for what I believe in: The future of Jewish Europeans, the great creative energy stored in Jewish texts, and the intellectual right to learn, explore, and debate. Finding a successor for Founding Director Barbara Spectre, whose dedication and leadership created this outstanding intellectual Institute has not been easy, but with Fania we have secured a Director who will insure academic excellence of the highest caliber. Paideia has a bright future as the leading institution for European Jewish revival. Paideia, The European Institute of Jewish Studies in Sweden, was founded in 2000 through the partial funding of the Swedish government and the Marianne and Marcus Wallenberg Foundation. Paideia carries out its mission with an intensive academic program that teaches its Fellows the intricacies of Jewish studies. Training both Jews and non-Jews, the Institute’s non-denominational scholarly framework facilitates a more diverse and inclusive Europe. Such an outcome comes about through a unique understanding of Jewish culture, one that its 500 plus alumni from 40 countries carry with them in order to act as forces for change in their own societies. “What a privilege it has been to build an Institute that has reclaimed and reimagined Jewish culture in Europe” commented Barbara Spectre. As this exciting chapter of my life comes to a close, the Board of Directors, European Jewry, the Jewish world at large and I are thrilled to welcome Professor Fania Oz-Salzberger as the next Director of Paideia. Dr. Spectre’s role as the Founding Director of the Paideia, which was created through her collaboration with the Swedish government, will forever be an integral part of her legacy, for it was her pioneering vision that lead to the Jewish cultural training of intellectual-activists across Europe. Beyond its flagship program are many other activities, including European-Israeli faculty exchanges, leadership training seminars including Project Incubator and the Paradigm Program, lectures, conferences, dialogue with the global Jewish community, and more. Over the past 16 years Paideia has graduated 500 fellows from over 40 different countries. Now a professor of history at the University of Haifa, Dr. Fania Oz-Salzberger has had numerous academic accomplishments. This includes her research on the Scottish Enlightenment in the widely cited Ferguson: An Essay on the History of Civil Society (1995) and her bestselling book “Israelis in Berlin” (2001). As the daughter of the famous Israeli author Amos Oz, with whom she collaborated to write the book “Jews and Words” (2012), Professor Oz-Salzberger is a leader of the next generation of Israeli intellectuals.